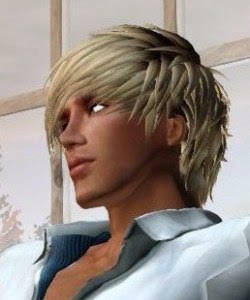 Ben Aquila's blog: Four Years in Second Life! Four Years in Second Life! Four years ago, I began my adventure in Second Life. During that time, I've met a lot of people, visited many places and clubs, and played in several ancient RP. But, the best of this adventure happened just almost one year ago. Ryce, thanks for crossing my path and changing my life. Of course, thanks to all for the many good times we have been together at the virtual world. 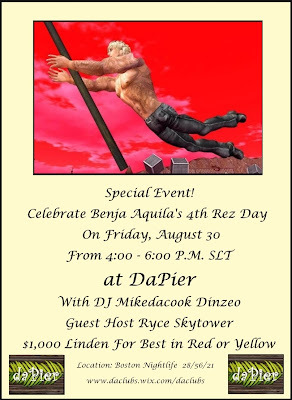 Today, my husband will host a wonderful party at daPier Club, at 4pm SLT, with our best friends Mike and Robin, to celebrate my 4th rez day in Second Life. Everybody is invited and expected. Thanks Ryce, I love D... Donuts! Jerusalem Gay Pride 2013: 12th edition!